1. We have consolidated the Dashboard Main Menu on the left-hand sidebar. We’ve streamlined the sidebar to only display what is needed - Integration Center, Custom Fields, Reports, and Activity Management under “OPERATIONS,” Account Summary and Statements under "MERCHANT ACCOUNT" and Settings and Manage Admins under “SETTINGS." 3. 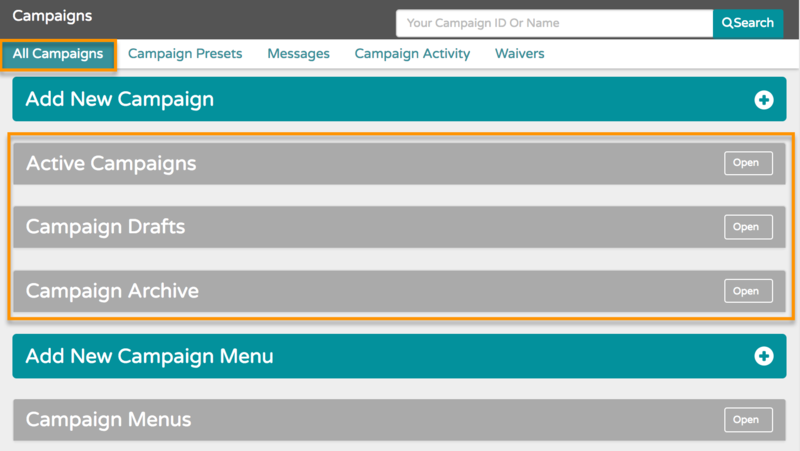 The Campaigns section also now contains a brand new section called Waivers. This is a brand new feature where you can set up and manage various waivers, which can then be applied to any campaign or engagement tool within that campaign.